Currently it can recover saved login passwords from following browsers. For command-line version, check out our new tool - Browser Password Dump. 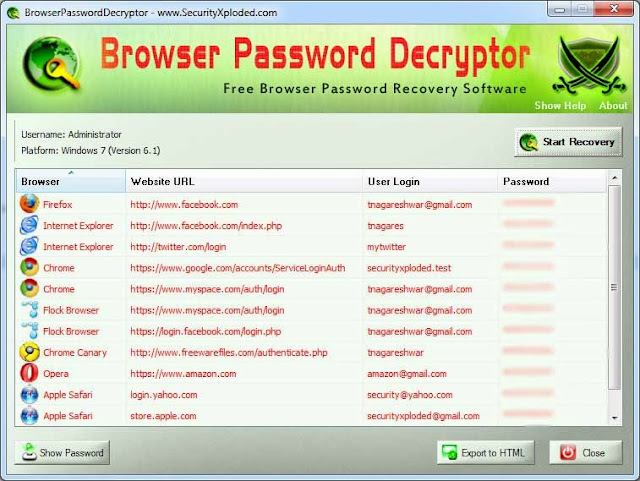 Instantly decrypt and recover stored encrypted passwords from popular web browsers.